Cold, windy and wet. Perfect conditions are approaching for the next few days for those who are making the effort to brave the conditions and get out with fly rod. I think there will be fresh fish in all the rivers and they should be on the chomp! Tongariro may be out for a day or two while they flush the river over the weekend but prior and after to that should be very good, a lot of the time it really isn’t enough to make much difference apart from some crossings become un wadable. 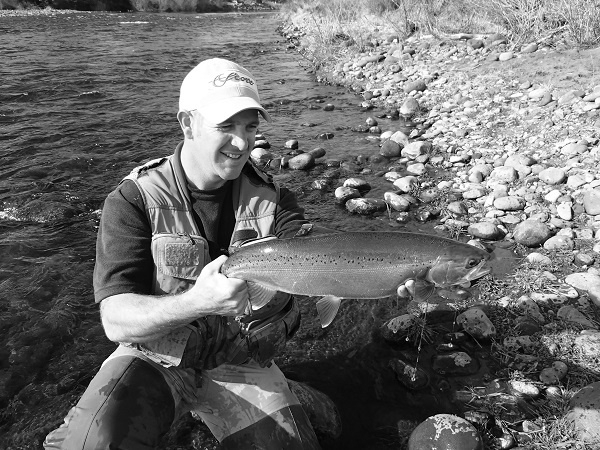 During the week the Tongariro has remained fairly stable with pulses of silver trout most mornings which are being caught mostly before the bridge. I have heard some good reports of large pods of trout entering the Hine but with low conditions they seem to be moving fairly quickly in here. The Hine already had a huge number of spawning trout so the introduction of a few fresh ones was very welcoming. Hopefully we receive all this weather we are due and this puts some water in the river and maybe a small flush as it certainly needs it. Usually when we get a few days of horrible weather with a good amount of rain the smaller forgoten about waters such as the Waimarino can be worth a look. Fresh rain will move fishÂ in over night and higher conditions will make them slightly easier to catch, perfect with a bit of colour. Really fresh trout such as these will readily take a glo bug especially in high water or cold wintry days. Some of the best trout move up these tribs so keep an eye on the water in here. I will be out on the Hine for the next couple of days but I may sneak down the Tongariro early one day to hit the braided section in hope of some more of the fishing that has been entertaining anglers this winter. We have dark nights currently and the river mouths should producing some eventful nights and evenings. There are good reports coming from the TT and the Delta so there must still be fish wanting and waiting to move in and run the rivers. Please start to think about the opening of the new backcountry season. We are primed and ready to hit some new places this season and withÂ water levelsÂ hopefully staying low we should be onto the trout straight away. 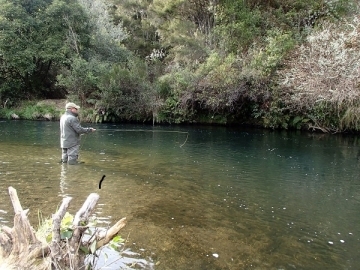 The opening of any season is always exciting but fishing somewhere new and privateÂ is always special moment for manyÂ NZ anglers. Please drop me a line if you are interested in going somewhere.